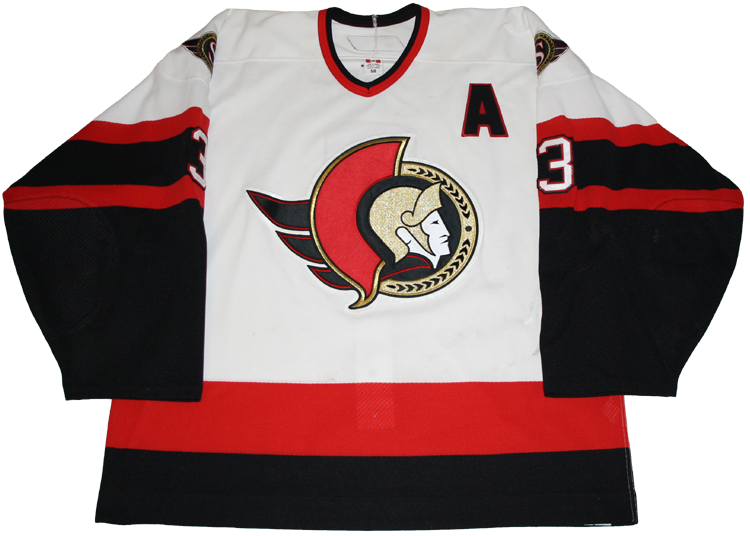 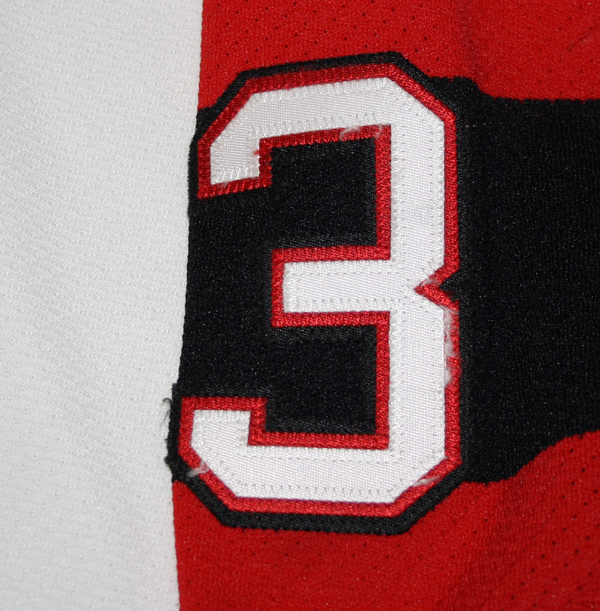 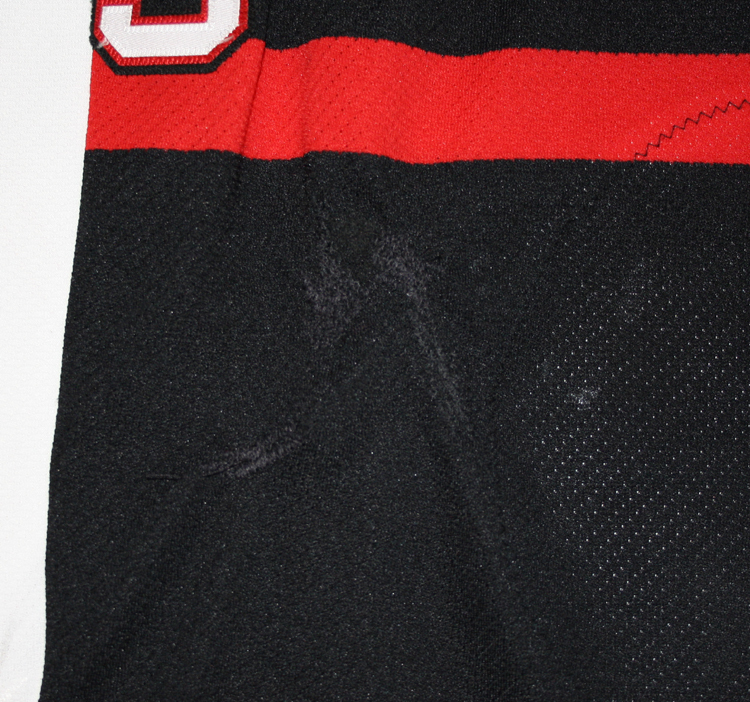 This jersey was worn by Zdeno Chara of the Ottawa Senators from December 20, 2005 to February 8, 2006. 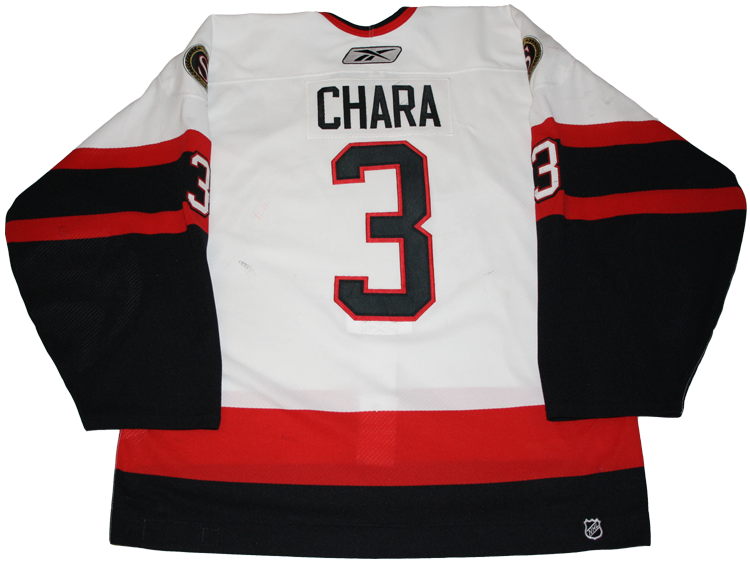 This jersey was worn for 13 games, in which Chara scored 4 goal and added 6 assists. 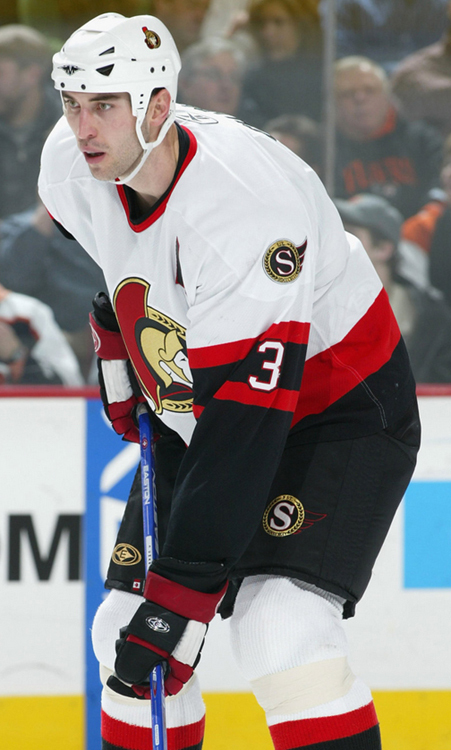 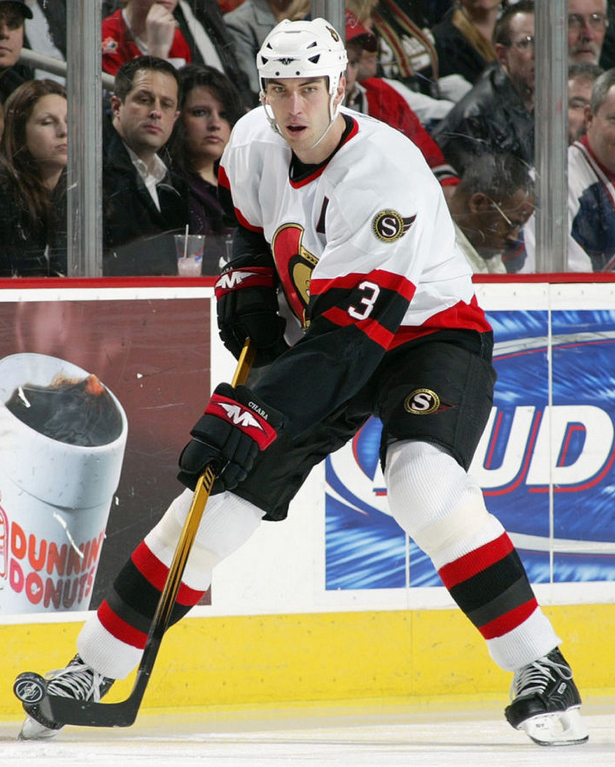 Chara was named to the NHL Second All-Star Team at the conclusion of the 2005-06 season, his final season in Ottawa.